If you were surprised when EPA Administrator Scott Pruitt took a left turn on the proposed Pebble mine last month, you’re not alone. Sen. Lisa Murkowski was, too. Pruitt announced a decision to keep alive a proposal from the Obama administration to protect the headwaters of Bristol Bay, a proposal Murkowski and other Republicans had complained was egregious federal overreach. Murkowski says she got the news from Pruitt, just before the public announcement. 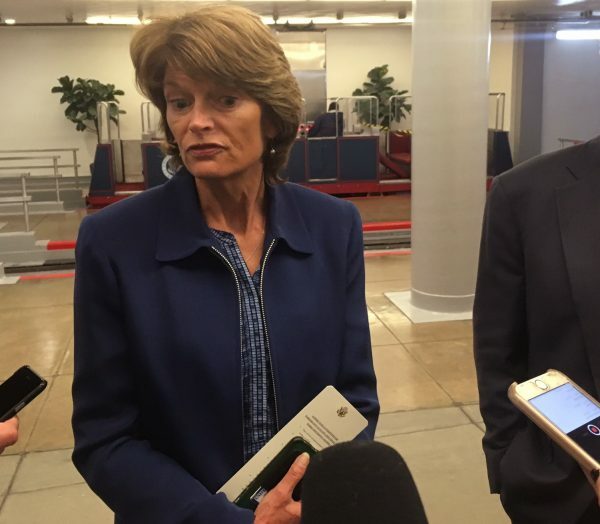 Murkowski has not taken a position for or against the mine. But she was highly critical when President Obama’s EPA proposed restrictions on Pebble, prohibiting it from damaging more than five miles of fish streams, among other limits. Murkowski called that a “pre-emptive veto.” Pebble had not yet applied for its permits. Murkowski says what the Trump administration has done is different. But Obama’s EPA administrator said her action wasn’t blocking Pebble’s application, either. “If the company is ready for permit application, they’re still free to submit that, and we’d encourage that,” then-administrator Gina McCarthy said at a 2014 hearing, answering questions from Murkowski. Pebble did not file its application until late last year. Murkowski says Administrator Pruitt wants a credible process and has set a high bar for Pebble to meet.